1.8 KM from Siddrtha Banasthali school, In between Raniban chowk and balbikas School. RCC base DPC 2.5 stores house located at peaceful residential area. 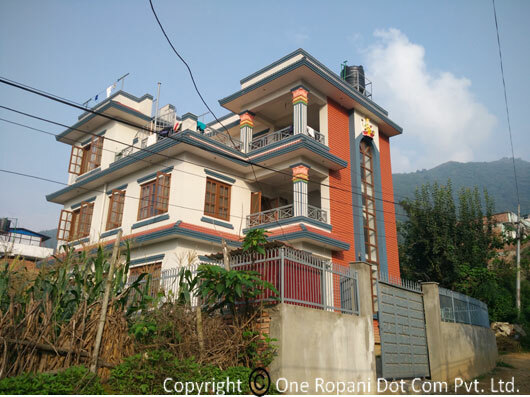 Newly built house have 100% 9 inch wall and used 100% Udayapur and Hetouda Cement.24 hours pure natural drinking water supply, 18000 ltr. capacity of water reserve tank , parking space for 2 car and bikes, beautiful garden. 300 meter inside from Outside ring road, 100 meter from Raniban Pani tyanki Micro stop. 4 meter width RCC access road. NOte :- House can be exchange with 5 to 8 anna Land at Raniban area with minimum 12 ft. width road and South or east faced land .